With CISS System(continous ink supply system),can avoid the printer lacking ink during the printing process and save 50% ink. 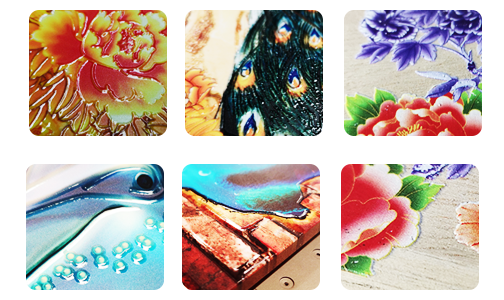 Directly print on the cards,phone covers,wood etc., more convenient than the heat transfer printer, and faster than the silk printer. 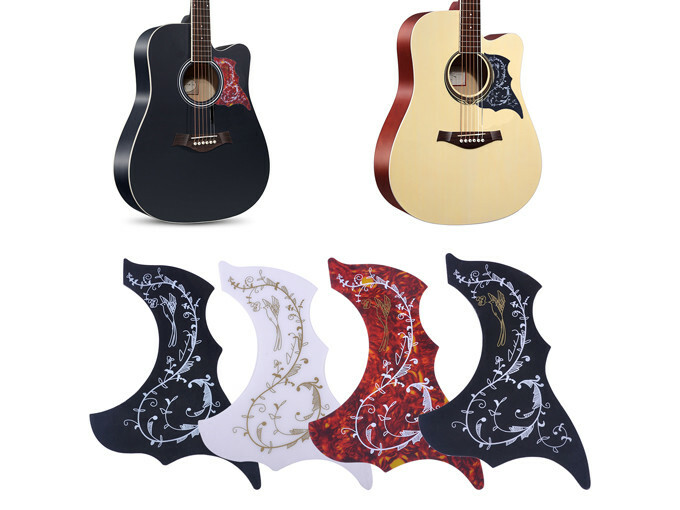 Do not need the transfer paper, all process can be finished in one step. Instant drying system.With the help of the UV system,the images printed on nearly all products and can be dried instantly. Cylindrical ObjectsWith our professional mold，you can print on cylindrical objects like bottles and other items. 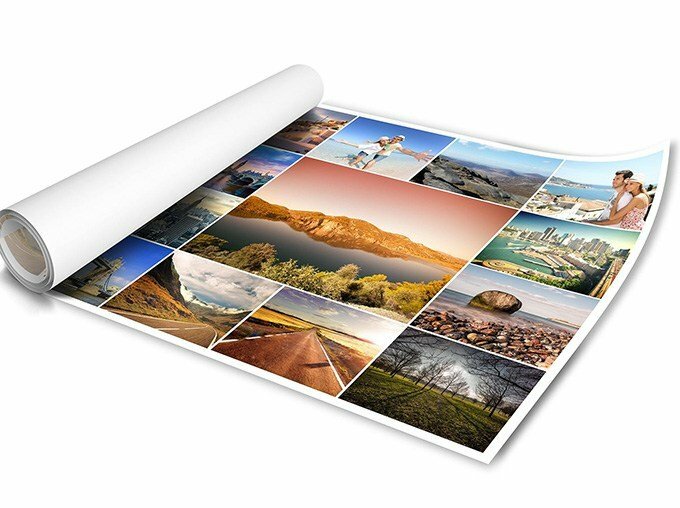 Photos & ViewYour photos deserve more attention：such as canvas photo frame，wood，metal and other flat materials. 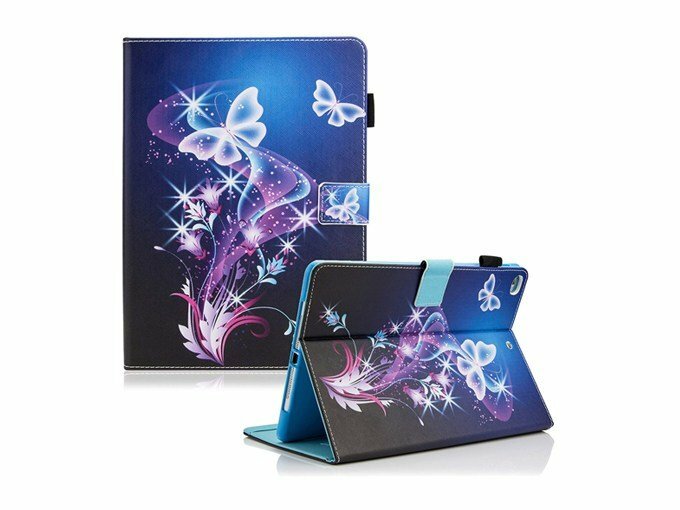 Leather & FibreMake your leather designs stand out by printing on shoes, Ipad cases, bags, handbags, clothes, etc. Glass & AcrylicWith our gloss ink，you can print on jewelry display rack, machine panel, bathroom, home supplies, office supplies, hotel supplies and acrylic products. 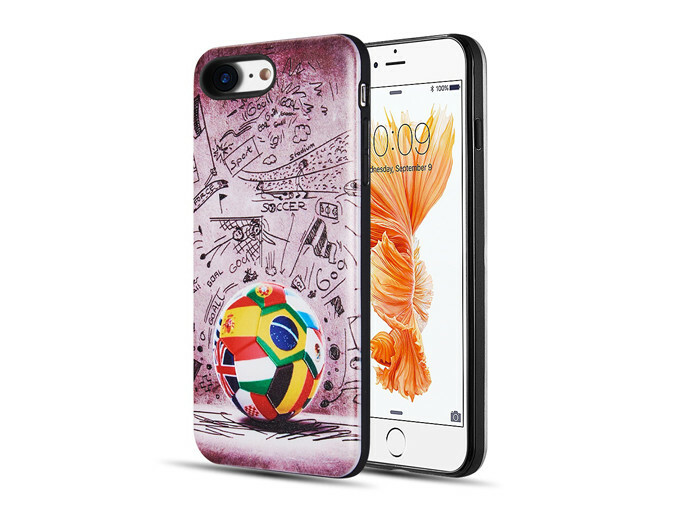 PVC & PlasticColorful prints，like phone cases, pvc cards, packaging, engineering, daily necessities. Wooden MaterialsPrint directly on wooden floors, coffee table chairs, home cabinets, home decor, etc. Facing gloss/matte surface treatment, realistic textures, or 3D embossed effects to add an incredible new dimension of “touch the color”. Create your own special finishes or choose from our texture-designed patterns in our WER COLOR System. 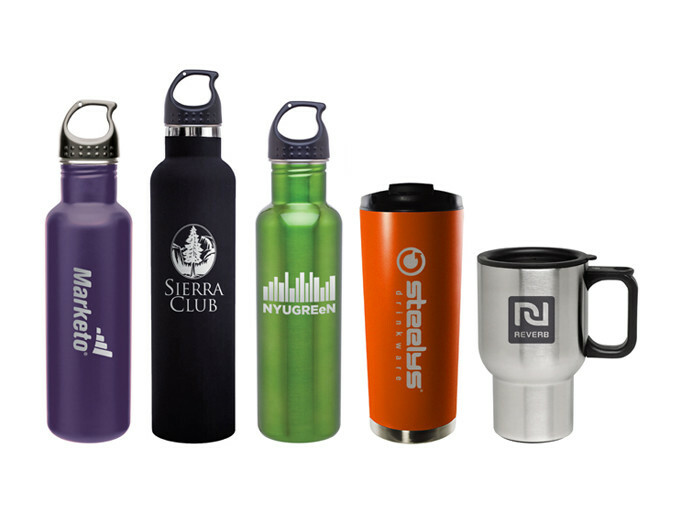 Print pictures with stable color and astonishing detail on a good range of promotional gifts. * For perfect effects, it is strongly advised that users test for adhesion to specific objects before massive final production. With double sets of low-heat UV LED lights, and self-cleaning ink function, the newly-designed A0 WER-ET1510UV Glass Prints Flatbed Printer is easy to operate and performs clean and cool with a safe operation. 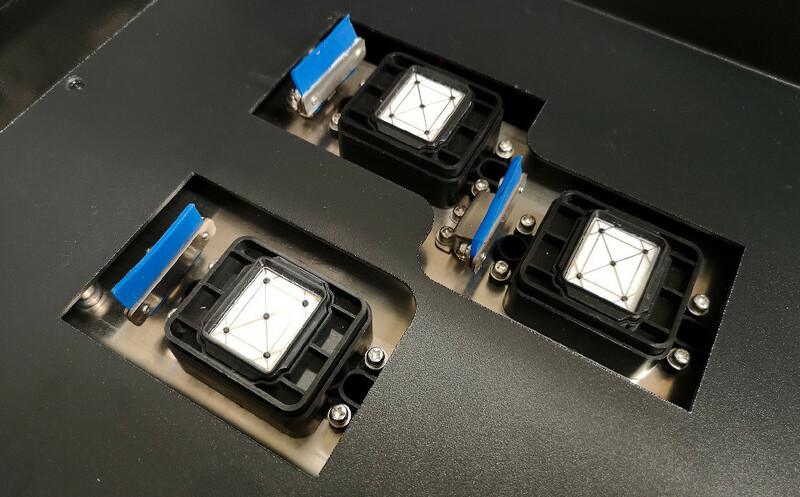 In addition to reducing additional machine movements of previous models to give you a more efficient operation, it offers new design advantages to simplify your print process. Removes any ink remaining on the printheads and cleans the printhead surface to maintain the health and ink cost-efficiency of your printer. 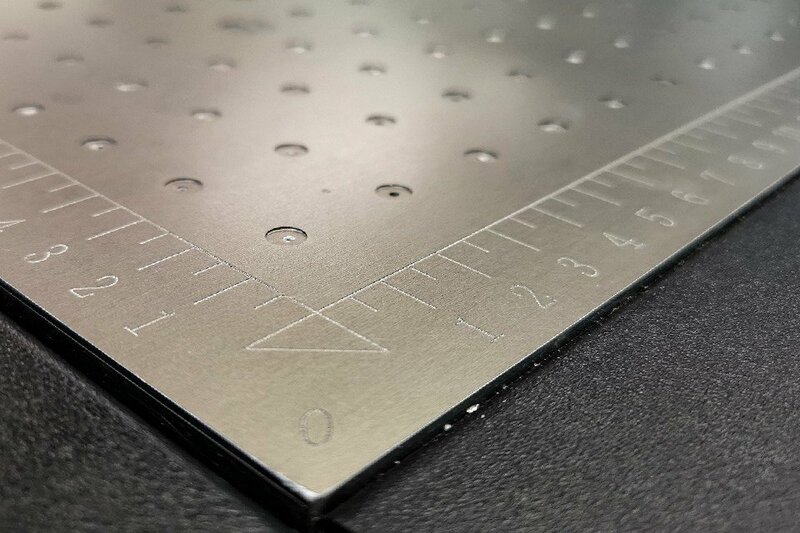 Printing platform precise calibration mark，which is easy to simplify your set-up and the alignment of items for printing. If a nozzle on the printhead is clogged and misfiring, you can reduce losses with the ability to turn off a specific nozzle band to allow continued production. 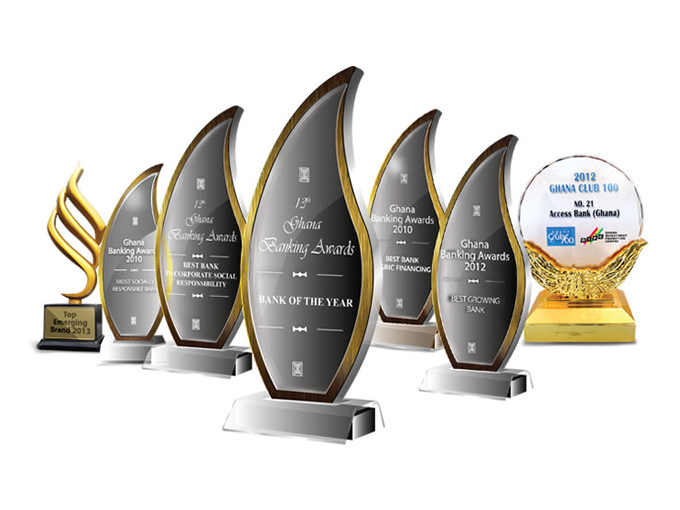 Usable Media Glass, metal, pvc, acrylic, wood, ceramic, gifts, crafts packaging, leather, plastic, 3c panels and signs etc. With the experience that many people desire to take large format uv flatbed printer for wide application, while most of them complained about the high cost, we’ve been thinking about it and hope to find a way out a long time ago. Now WER-ED6090UV can realize your dream to own a big size uv printer at a quite affordable cost. Original Epson printing system, which is equipped with original EPSON Piezo inkjet F186000 Printhead with 180 nozzles per channel. Easily operated with LCD operation panel. 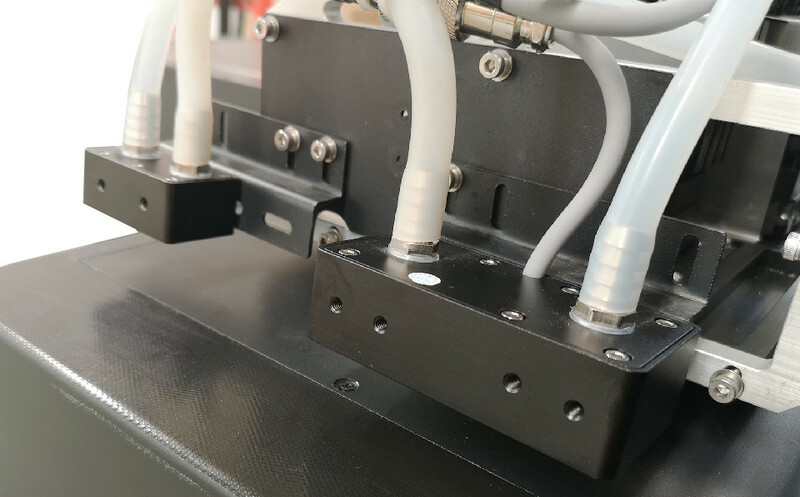 Ball screw drive system, air sucking platform & powerful servo motor, all these features allow it print in high precision. Rigid industrial design ensures quality output with physical resolution 1440*2880dpi. 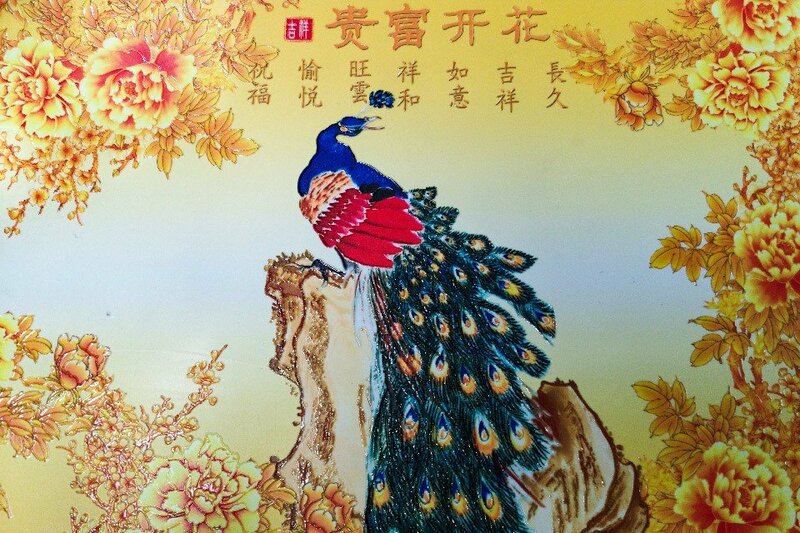 Providing of LED UV rigid ink, and you can print anything on different materials, superior quality. Adopt the advanced variable ink drop technology, min size 3.5pl and max size 27pl, speed 30% faster. Besides its excellent and stable print performance, WER-ET6090UV has a very competitive price and widely acceptable. Compared with mini size UV printer(e.g., A3), you only need to pay 2 – 3 K USD to own it which has a max print size up to 60 × 90 cm. Stable print performance has helps it get very good feedback from customers all over the world. 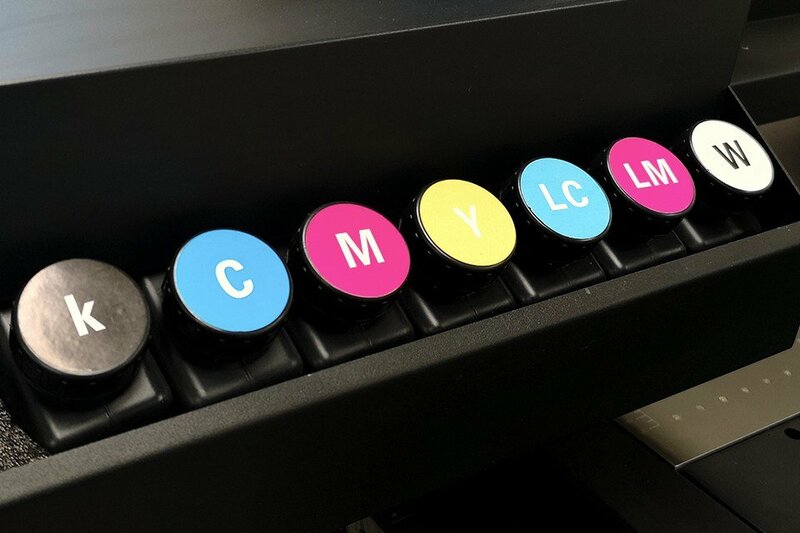 New, specially formulated, quick-drying UV CURING INK produces amazingly brilliant colors. The inks also provide excellent long-term outdoor durability, scratch and chemical resistance, broad media support and a wide spectrum of color. Not enough? Configurable to dual-CMYK or CMYKWWWW for finer details, smoother gradations and more neutral grays (made possible with Black ink). Because the WER-ED6090UV doesn’t need constant attention, you can concentrate on other vital tasks. WER-ED6090UV dries prints quickly – even in high-speed mode – for immediate finishing, installation or collection by the take-up system,which we name it UV LED drying system. UV cooling system We use water to cool the UV LED Light while working, and it can save your money for cooling liquid. For the above items, there are some consumable parts (like printheads) and some Non-vulnerable parts, so WER company just offered some of the prices as a reference. If you need the exact price, please feel free to contact our sales staff. 1. 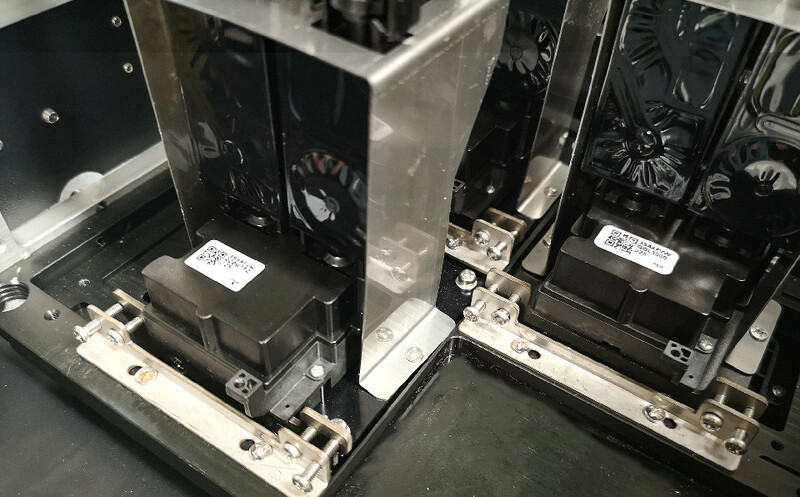 When the equipment sent to the customers and ready to all install, the first thing is to prepare a voltage regulator, while civil voltage is stable now, but still, there will be some floating up and down because of the voltage instability, which will have some difficulty in installation. The problem we met mostly may be the connection to the computer, or after the online software can’t normally be opened, also is the computer power cord unexplained fever, which may affect the equipment! At this time we are going to use a multimeter to measure the voltage to solve this matter! 2. When we switch on, machine reset successfully; then we open software. Since the connection when the machine is reset software absorbing ink pad will be a process of down and up, the device is reset, to lead to errors instructions, machine reset failed! 3. When using the equipment, printing products if happen to catch up with something not in, so it is better to turn off the software. Because the device under the connection state of software will continue to control flash spray nozzle after a long time will lead to absorb ink pad ink spill over into the ink pad on the lines below, after a long time affects the equipment! 4. If our production is completed, shut off the device, the software must be closed first. 5. Before you insert the data cables, turn off the printer power first. 6. Before printing works, and you should make sure printheads don’t hit print media, adjusting the nozzle height then send the print task. 7. Often clean the printhead and the printhead stays wet, prevent drying printhead from affecting the service life of the nozzle. 8.the machine doesn’t work, don’t inject ink into the cartridge. 9.if you haven’t operated the machine for a long time, clean up to remove the nozzle with a cleaning fluid stays wet. About guide video: If you meet any question on installing or printing after you bought this machine, please contact our sales to send you the guide video. ALL WER printers come with a standard one-year warranty, with the option for a 2 or 3-year warranty extension contingent on registering your device within 60 days of purchase. By then WER or WER’s agent will send a document to you, everything will take effect after signature, thank you! We offer excellent Service Contact for all of our inkjet devices. Follow our blog and discover the latest tips and tricks, and WER news. Request brochures, product information and pre-sale support.